Yesterday I posted my first Fall card of the season. And right in the middle of fall we celebrate…Halloween. Even though I don’t tend to make many Halloween cards, this design was just calling to me! The Happy Scenes bundle helped me quickly create the spooky scene. I found some retired paper with the black birds in my stash and thought it would make a great Halloween scene outside the window. A little Basic Black baker’s twine with a candy dot and it looks like an artsy spider. This was such a quick and fun card to create, I love it when that happens! Here’s the supplies I used, although some of it is retired (my oder was delayed and I just had to make this card). There are many new Halloween paper options in the Holiday catalog that you can substitute those in my design. 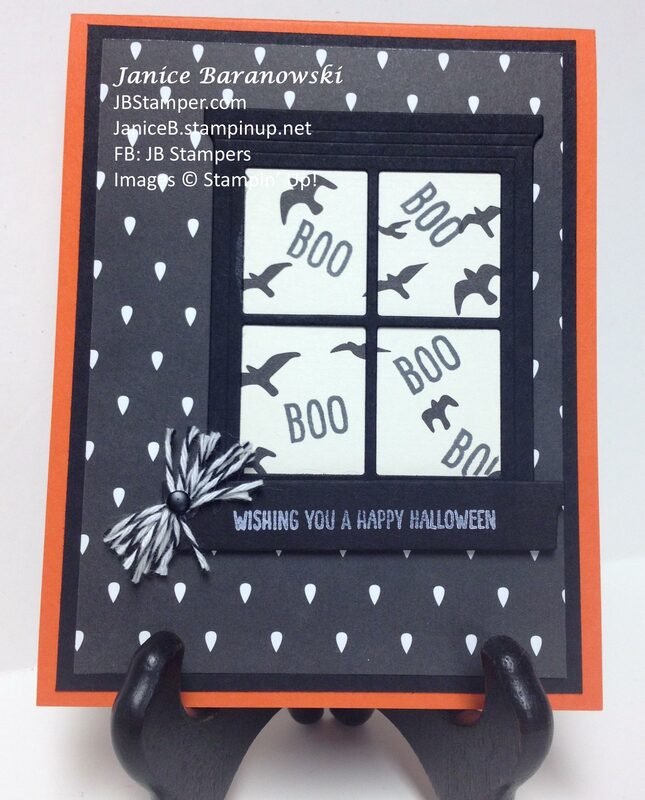 This entry was posted in Annual Catalog, Halloween, Holiday Catalog and tagged birds, boo, Happy Scenes, Hearth & Home, scary, spiders, Stampin' Up!, Stampin' Up! Bundles. Bookmark the permalink.